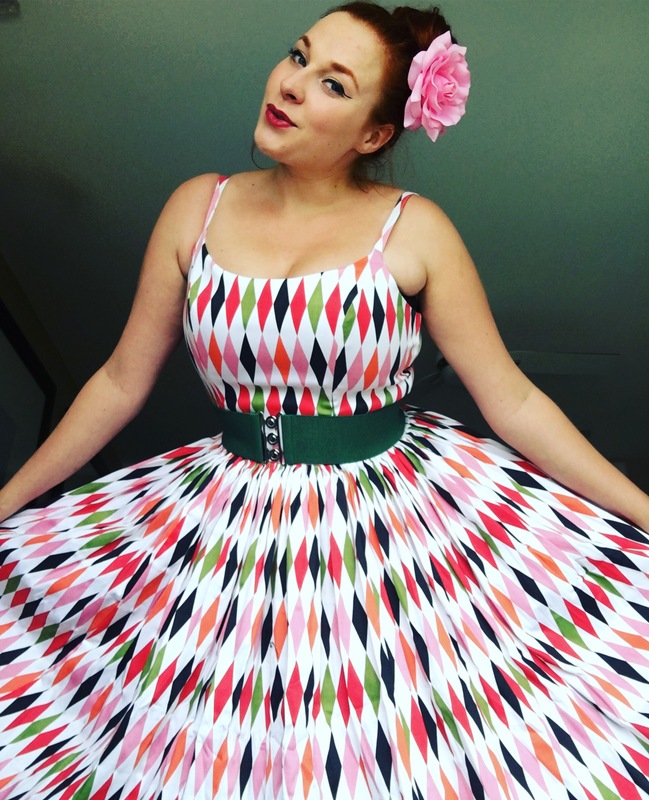 If you are familiar with vintage reproduction clothing, it’s impossible not to know Pinup Girl Clothing, or as the junkies like me call it, PUG. 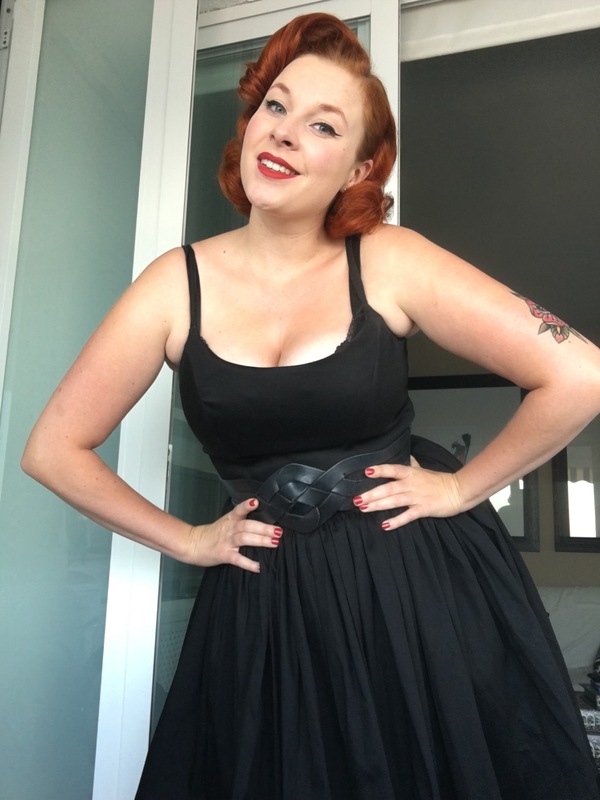 In the past I have written a blogpost about their absolutely amazing and masterpiece the Monica Dress, which is an absolute musthave for EVERY woman, and shared my love for PUG. Another classic is the Jenny Dress. This amazing boned, flaring, figure enhancing, twirly dress with its metres and metres of fabric is one of PUGs steady designs that come out every season in different colors and prints. I myself have some of these amazing dresses and they are fabulous. At $141 they don’t come cheap, like any other PUG item, but they are absolutely worth the investment. 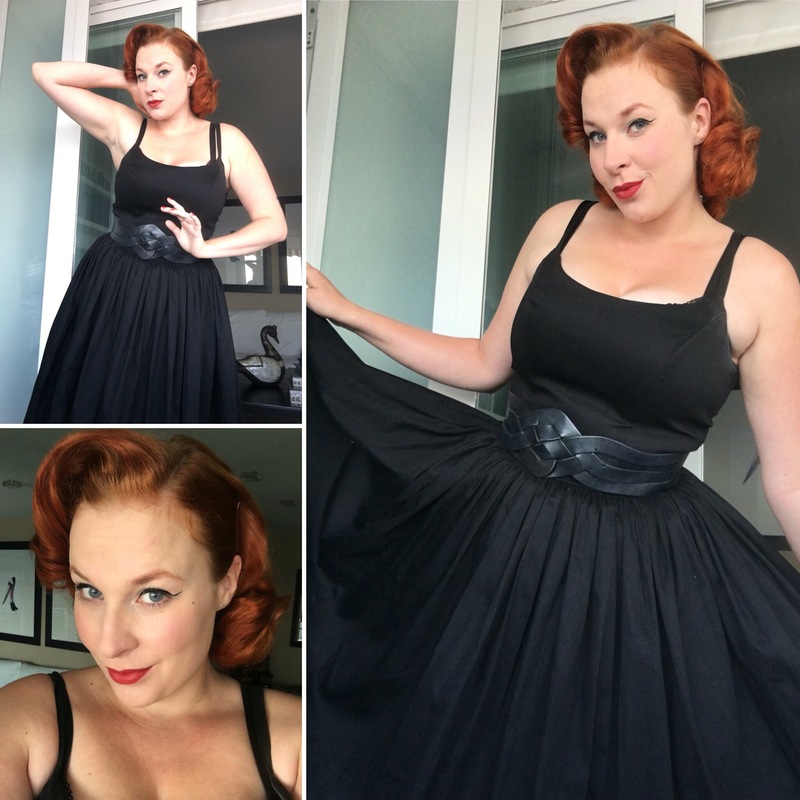 The Jenny dress has a sturdy bodice that is boned to give you a beautiful bust-line and a cinched waist and flares out in an amazing full swing skirt with metres and metres of high quality cotton that breathes and shapes after you. Also without petticoat, this dress looks full and twirly. The straps on the bust are adjustable, accommodating every type of bust, wether you are large chested or small chested. The Jenny Dress really has a cult status and is one of the classic styles PUG offers, bringing out limited editions every season. There are definitely some styles that are on my wishlist and I know there is always more to come! Keep your eyes out on their website for limited editions and snag yourself one of these beauties. You won’t regret it.